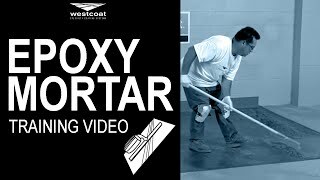 Westcoat Epoxy Mortar is a 100% solids epoxy combined with graded sand and troweled into place. It provides a high-build system that is highly impact resistant, chemical resistant, and very durable. Epoxy Mortar System is designed to be used as a heavy duty coating.